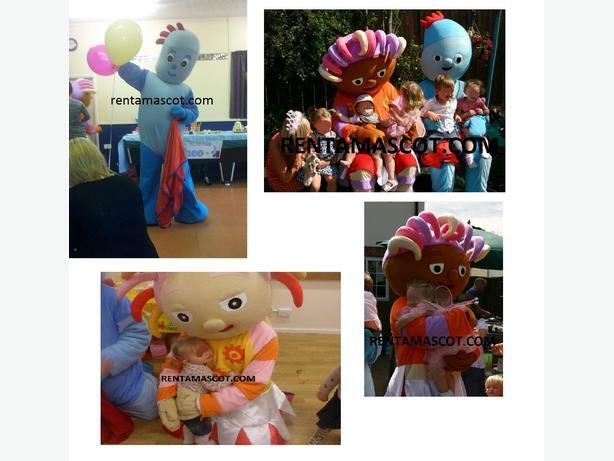 RENTAMASCOT HIRE FROM £25 - Hire an adult sized Fancy dress costume character for your child's party and be the special guest and enjoy some fantastic entertainment! FOR HIRE FROM £25 FOR 3 DAYS! SOME OF OUR MASCOTS TALK - JUST POP THEM ON AND JOIN THE PARTY! Contact us by text for a quick availability check -07814526089. Lots of mascots to choose from: Mickey Minnie Mouse, Peppa George pig, Iggle Piggle Upsy Daisy, Ben 10, Dora the Explorer, Bugs bunny, Fireman Sam, Snowwhite, Elmo Zoe, Bob the builder, Mario Luigi, Batman Robin, Ironman, Hello Kitty, Spiderman Goofy Buzz Lightyear, Jake and the Neverland Pirates Winnie the Pooh and Tigger!